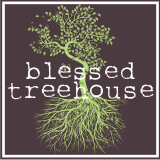 Blessed Treehouse: These are the pictures. Oh my goodness. I'm sitting at my desk, at school, crying like a baby!!! THANK YOU for the reminder. I love you. I love you too. Good word, my friend. And those two? Are beyond precious.